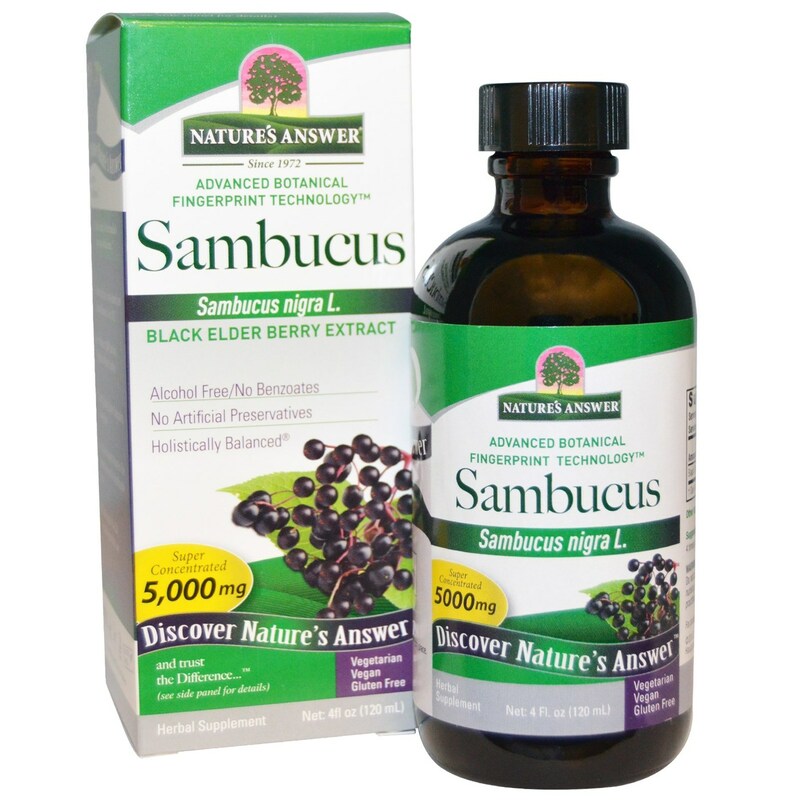 Nature's Answer Sambucus Black Elderberry Extract contains no artificial preservatives and is holistically balanced. Advertências: Keep out of reach of children. If pregnant, nursing or on medication, consult with your healthcare practitioner. 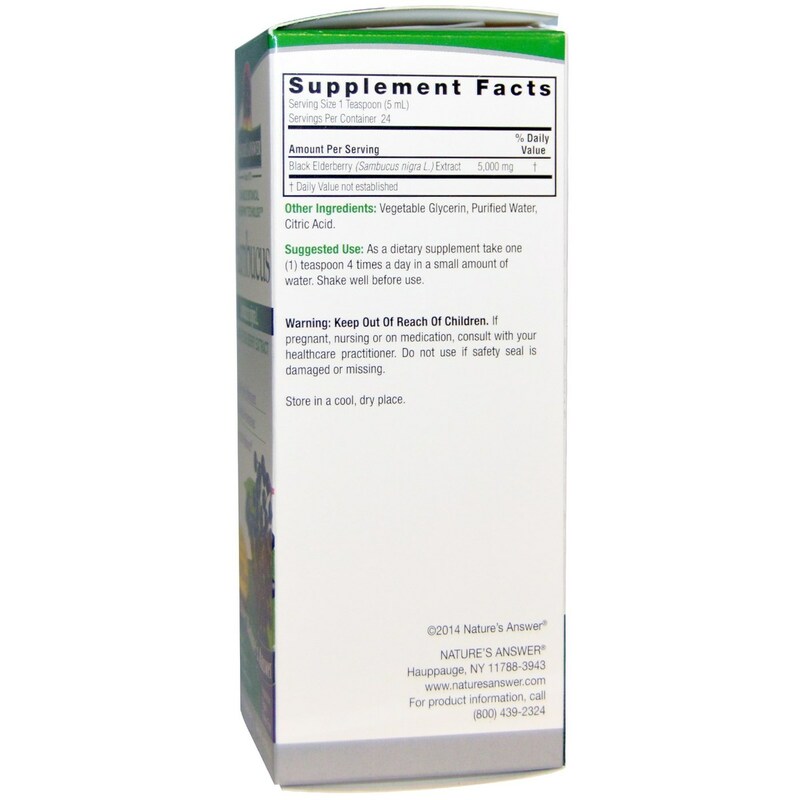 Do not use if safety seal is damaged or missing. Store in a cool, dry place. 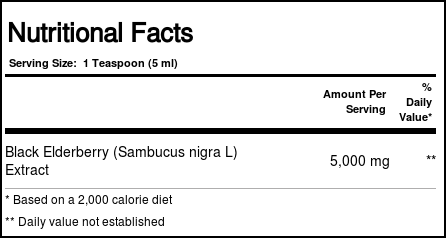 Notas: Vegetarian. Vegan. Gluten Free. Cruelty Free. Sugar Free. Alcohol Free. Artificial Preservatives Free. Kosher Parve.